Simpson/Hemstead and their team of theologians have long believed, through interpretation of data collected after years of watching religious themed movies while eating expired yogurt and magic mushroom compote that the one true God is actually an amalgam of several other deities. Simpson/Hemstead believes firmly that this entity is constantly changing shape and evolving so depicting it has always been a problem. Well, today, for the first time, one of our crack team of moderately trained button-pushers has assembled what he feels is an accurate depiction of this entity. 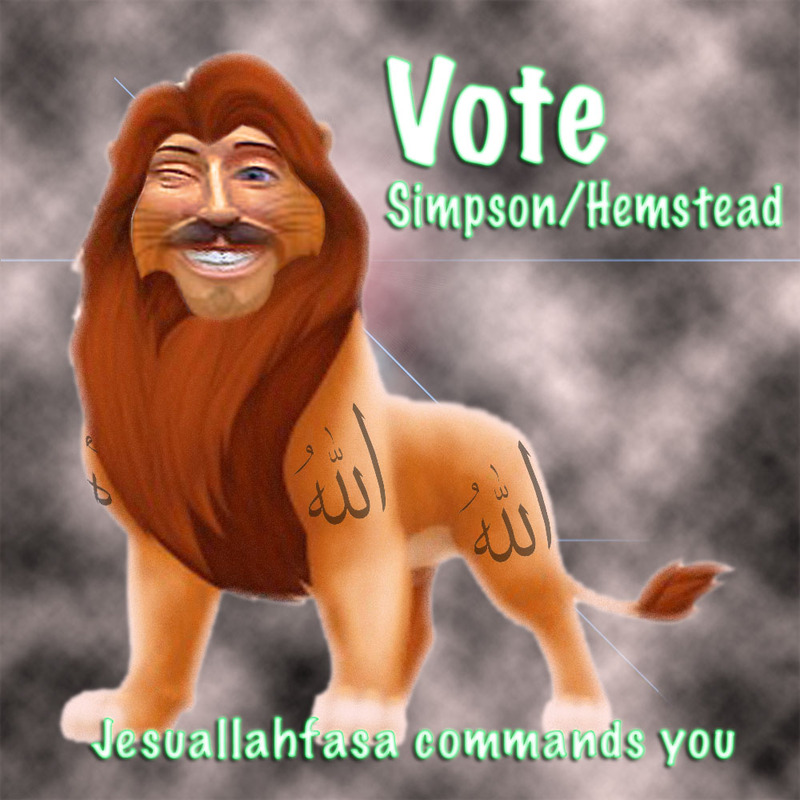 So with great pride, Simpson/Hemstead presents to you the first ever rendering of the one true God: Jesuallahfasa!